Calcific Tendonitis — What is it? Calcific tendonitis of the shoulder is a very painful condition. Because of the pain, patients suffering from calcific tendonitis are easy to identify in the office. They look tired because they are not sleeping well, and they look like they have severe shoulder pain. This post will review why calcific tendonitis hurts so much and we will discuss a non-surgical method to quickly eliminate the pain. Calcific tendonitis of the rotator cuff is characterized by the deposition of calcium within the rotator cuff tendon itself. Although it looks like a piece of bone, it is not solid. The contents of the white area as seen on the image above has calcium and usually has the feel of toothpaste. These calcium deposits in the rotator cuff of the shoulder are not harmful. People who have calcific tendonitis do not have any rare disease which caused this to occur. Some patients with calcific tendinitis complain of exquisite shoulder pain. Most have not suffered an injury and simply wake up one day with severe shoulder pain. During a physical exam, that area is found to be exquisitely tender to touch. Obviously calcific tendinitis can be a particularly painful and disabling condition in some individuals. Most patients do not recall any shoulder injury or shoulder trauma. They usually say that the pain simply started one day for no obvious reason. Why do I have calcium in my shoulder? Scientists are not quite sure why calcific tendonitis occurs. Do not worry or think that you did anything wrong. You do not have too much calcium in your body, you are not drinking too much milk, and you do not have a horrible underlying disease. We’re not exactly sure why patients develop calcific tendonitis. There are some hypotheses out there, but no one knows for sure why this painful condition occurs. 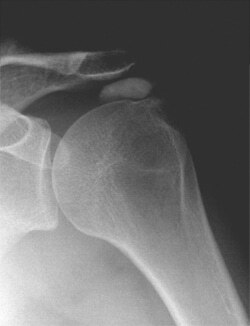 Calcific tendonitis occurs in stages … the pre-calcification phase, the deposition phase, and finally the resorption phase. It is during the resorption phase, when your body is trying to dissolve and reabsorb the calcium when the pain begins. The other phases mentioned do not cause pain. In patients with little or no pain, no active treatment is usually necessary. Many of these calcium deposits will go away on their own. Unfortunately many patients are truly miserable and require treatment. Many physicians might still recommend surgery to remove the deposit. Luckily, in many cases shoulder surgery to remove the calcium is simply not necessary. Do I need surgery for calcific tendonitis? There is a fast, effective and much less invasive way of getting rid of the calcific tendonitis deposit. The procedure involves having your surgeon or a radiologist use ultrasound to find the calcium. Once they find the calcium they will numb the skin over the area. Under ultrasound guidance a small needle is put into the calcium deposit. Then,using saline and numbing medicine we can literally wash the calcium out of the rotator cuff. Remember, the calcium has the consistency or feel of toothpaste. So in most cases it is washed out of the rotator cuff very easily. When performed by a skilled technician this is a very effective technique for the treatment of calcific tendonitis. More than 90% of patients in our office experience relief of pain. In rare cases a second injection may be necessary. A few patients might develop an inflammatory reaction to the calcium which might require a cortisone injection or an arthroscopy to clear away the inflammatory tissue. 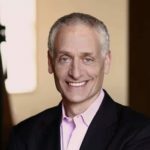 After having the calcium washed out using the ultrasound technique, most of you will experience significant relief of pain. The inflammation from the calcific tendonitis can cause stiffness so a certain number of people will need physical therapy. Most patients will return to their normal activities and sports within a few weeks of having the calcium washed out of their rotator cuff. Calcific tendonitis will usually not commonly come back to affect the same shoulder more than once. There are a few unlucky patients who might have to deal with calcific tendonitis of their other shoulder.